The 2017 California International Marathon (CIM) produced by the Sacramento Running Association has officially earned gold level certification from the Council for Responsible Sport. Organizers created and implemented new plans and expanded on existing programs to benefit the local community to earn a total of 48 of the best practice standards set forth by the Council, in each of program’s five categories, including planning and communications, procurement, resource management, access and equity and community legacy. Engaged 66 schools and more than 2,400 local youth in the ‘Runnin for Rhett’ fitness and healthy lifestyle program. 1,802 students finished the MaraFUNrun 5k and Fitness Walk during the 2017 event weekend. Promoted partnership with the American River Parkway Foundation to raise awareness and funds. The foundation is the sole beneficiary of the annual ‘Run the Parkway 20 miler,’ produced by the Sacramento Running Association. The two-year certification was awarded based on planned activities and programs, documentation of policies and on-site assessment of the 2017 race weekend by a third-party evaluator from WASTE MANAGEMENT SUSTAINABILITY SERVICES. The CIM is organized by the Sacramento Running Association, a non-profit organization dedicated to finding ways to encourage people of all ages and abilities to run. The SRA is committed to developing new, quality running events that appeal to a broad variety of runners. The 36th annual California International Marathon will be held on December 2, 2018. 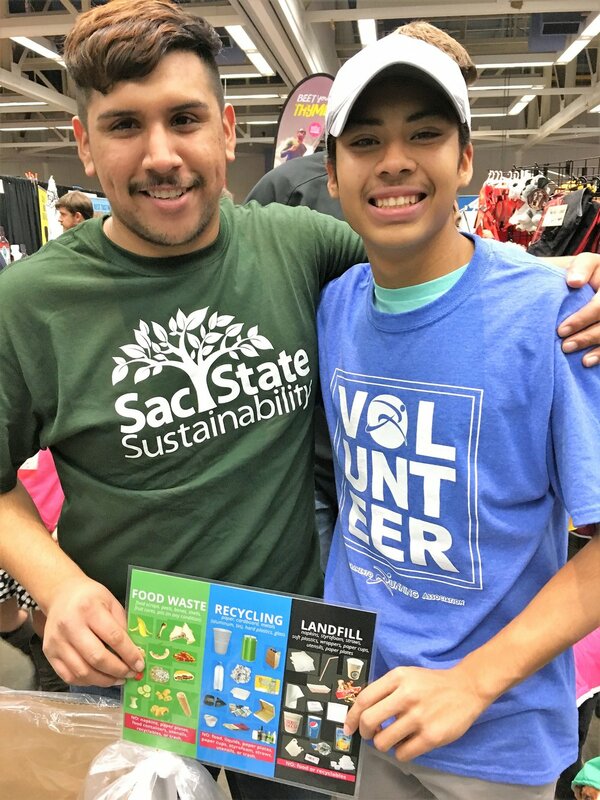 Sacramento State students helped form the 2017 CIM Green Team to engage and educate Expo visitors about properly sorting waste to divert materials from the landfill. Newer PostNCAA Women's Final Four in Columbus Goes “Beyond the Baseline." Way Beyond.